There has been no official announcement about the return of Patty Jenkins for the Wonder Woman movie sequel. Warner Bros. has yet to comment, however Jenkins herself had something to say. She spoke to a crowd at a Women In Film screening of the film, indicating that she would like to be on board for the Wonder Woman movie sequel. Wonder Woman was produced by Charles Roven, Zack Snyder and Deborah Snyder, with Richard Suckle, Stephen Jones, Wesley Coller, Geoff Johns and Rebecca Roven serving as executive producers. The film stars Gal Gadot (The Fast and the Furious films, Batman v Superman: Dawn of Justice), Chris Pine (Star Trek), Robin Wright (The Girl with the Dragon Tattoo, Netflix‘s House of Cards), Danny Huston (Clash of the Titans, X-Men Origins: Wolverine), Ewen Bremner (Exodus: Gods and Kings, Snowpiercer), Saïd Taghmaoui (American Hustle), Elena Anaya (The Skin I Live In), Connie Nielsen (Gladiator, Nymphomaniac: Vol. I) and Lucy Davis (Shaun of the Dead). 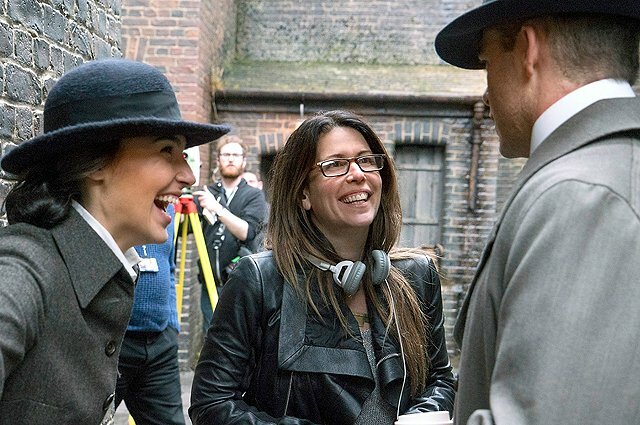 What do you think of Patty Jenkins coming back for the Wonder Woman movie sequel? Let us know in the comments or tweet us @SuperHeroHype.